DFT arquitectes is the conjunction of Fabré & Torras (since 1979) and Dilmé & Fabré (since 1988). 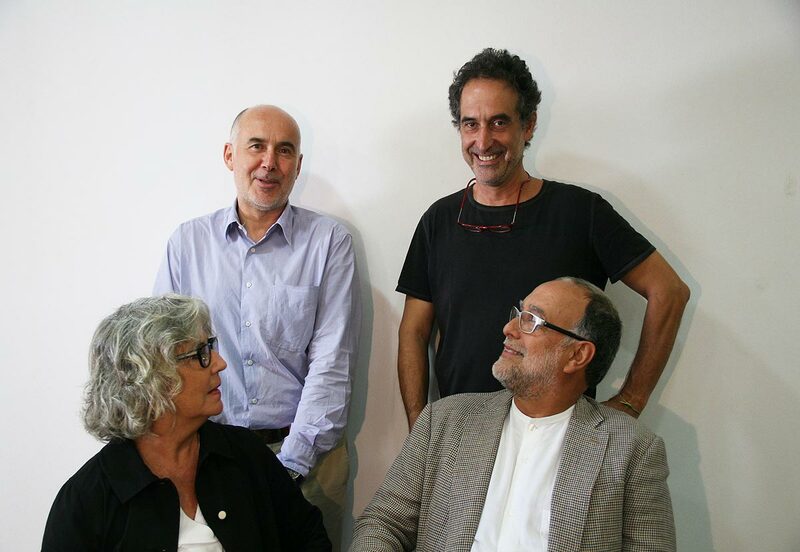 In this renoved company in 2012 the four senior partners -Lluís Dilmé, Xavier Fabré, Mercè Torras i Jordi Fabré- have acumulate a solid experience in performing architecture -concert halls, theaters and operas-, and rehabilitation and restoration of architectural heritage and, also, a prominent profesional activity based in the Institutional architecture: universities, judicial, penitentiaries and transport infraestrcuture. Our team provides a comprehensive service that includes a vast range of works as basic and executives projects, preliminary studies and designs or project management. We provide our clients with advise, whether they are from the public or private sector, and we listen to their demands to incorporate them into our creative process to achieve excelling outcomes. We like working with the space where people’s lifes take place, that is to say, Architecture is the engine of our intellectual and professional activity. That is why we are devoted to it and we investigate and seek a continuous progress and innovation.